The Show that launched Bitcoin, Free Talk Live (FTL) is a seven-day-a-week, live, nationally syndicated, pro-crypto radio program on more than 190 AM and FM radio stations (affiliates.freetalklive.com) across the US. Free Talk Live was the first consumer media in the world to discuss Bitcoin, in 2010, and Charlie Shrem said “Bitcoin wouldn’t even exist if it wasn’t for you guys”. Hyperbolic as that might be, it strongly hints at the power of FTL and these radio stations. These are real FCC licensed radio stations! 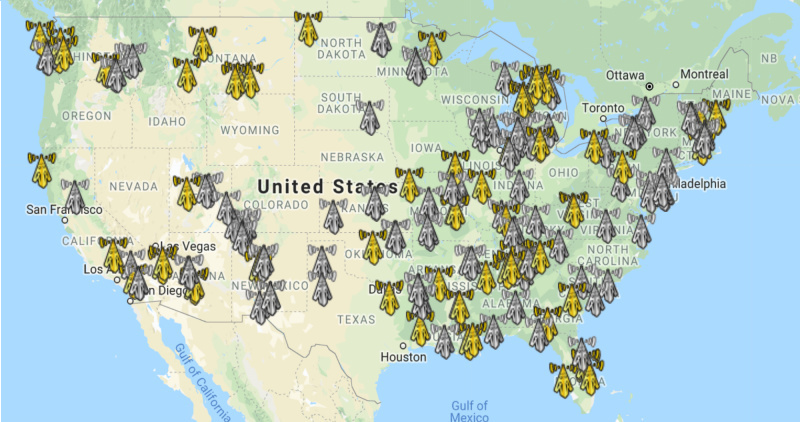 You can see where they are on our radio transmitter map (radio.freetalklive.com). (This Summer we added 50,000 Watt WRKO in Boston and this week WONK-FM in Washington DC!) Our show is heard on both conservative AND progressive talk stations - we’re the only national issues-based show that is heard on both formats. However, our reach is not exclusive to radio stations. We also have more than 15 million downloads on our podcast and others listen to us via live streaming and our international satellite channels (more on that later). We’ve been around the cryptocurrency world since 2011 and FTL is credited by Gavin Andresen and Roger Ver as helping to give Bitcoin the initial boost it needed to get widespread adoption. We don’t need Smartcash to build us a fancy studio or to help us start doing anything. We already have a studio and we’ve been doing our show since 2002 and have been in national syndication since 2004. We’re established in the industry and are the longest-running show in our daypart (7-10pm Eastern) in national syndication. We’ve outlasted all of our competition. 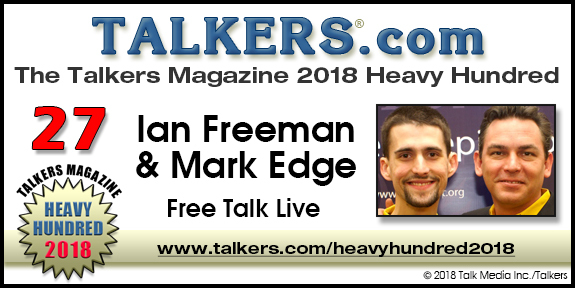 In case you doubt our claims of success, TALKERS Magazine (the premiere industry publication for talk radio) this year named us the #27 most important talk radio show as part of their “Heavy Hundred” It’s our tenth year on the chart, and we’ve been moving up every year. See it for yourself here: (Link to Heavy Hundred). As early adopters of Bitcoin, we’ve done very well and are comfortable enough to be very choosy about which advertisers we accept. We are exicted about Smartcash after having Zaphoid on to talk about it. This proposal is to bring Smartcash on as a prime sponsor of Free Talk Live. Per show, this means Smartcash receives three (3) :30 second recorded radio ads, one :30 podcast ad and one (1) Live Read ad (:60 seconds) per show. For the recorded ads we will work with your team to create several ads. We’ll use different voices. This, we feel, helps function as a sort of “Word of Mouth” campaign. Listeners hear the same message repeated by many different people. Any comments you have are welcome. We are putting this in for our 2nd of funding, but I must advise you that branding advertising is a long term endeavor. You need to stay on the air, if you want to stay top-of-mind. Repetition builds reputation. My recomendation is for AT Least a year. Bitcoin, via Roger Ver, has been on continuously, Since 2012. Persumably he knows something about building a brand. The satellite channel we’re on is LRN.FM - The Liberty Radio Network. It’s a 24/7 internet-based streaming audio network that’s been in existence since 2009 and we run it too. We figure our goal is to bring the Ideas of Liberty, which totally includes the concept of crypto currency, to as many people as possible, some people may not like our show, but may like another show. So we made LRN to service as many people as possible. We have the software and expertise already, so we are the best suited to run the best liberty network, and we have. This is important branding reaching people in their cars, homes, and on their headphones. Thank you for reading this far and for your vote. 125x100 banner on every page. Large Banner on a major page of FreeTalkLive’s site. Periodic social media posts and a recorded interview for the podcast. *We will hold the SMART and not sell it in the near future. How can we measure the result of this initiative? Please show results that would make stronger the argument to continue doing it. Broadcast advertising is best used as branding. It is difficult to measure the effect of branding advertising. Allow me to demonstrate. Think of a tire manufacturer. Think of a soda pop. Those companies that you thought of paid a tremendous amount of money to have you think of them. That is branding. Branding must also be done for months to be effective. We are inundated with ads in the modern world. If SmartCash is to flourish, we must break through the clutter and establish ourselves at the premier crypto brand, or at least in the top 5. Branding advertising can do that, direct response advertising, which is much more measurable, can't. Direct Response is also A LOT more expensive per individual reached. Coca Cola and Michelin don't do trackable advertising, they do branding because they know that what is important for them is to establish brand recognition. I can measure the amount of ads played (21 recorded, 7 podcast, and 7 lives per week) I can measure the amount of radio stations (192), I can give a pretty good estimate of listening sessions in a month (more than 4 million), but I can't tell you for certain what people that hear the message do with the information. If this proposal doesn't get approved, we basically start from zero again in the future. I would like to get this passed. I would be willing to throw in an extra week. SmartCash is a good fit for Free Talk Live.